What do public schools have in common with the pyramid schemes of Amway? Absolutely nothing, yet Trump's education secretary Betsy DeVos-part of the family at the helm of this corporation and a fierce advocate for vouchers, school choice, and free market competition in the education system-may soon be deciding the fate of American children. The wholesale privatization of our schools is expected to be at the top of her agenda. One of the greatest American achievements in the twentieth century was the creation of public schools and universal education, an ideal now deeply at risk. 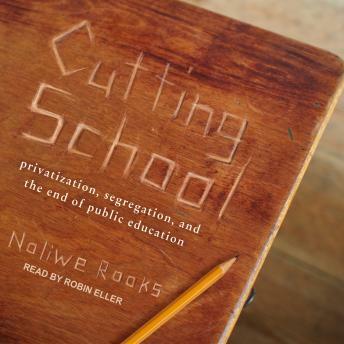 Cornell University professor Noliwe Rooks provides a critical account of the making and unmaking of public education in Cutting School, the first book to foreground how vast racial and economic divides are part and parcel of the push to privatize our education system. Rooks traces the historical origins and contemporary contours of today's separate and unequal schools to show the disastrous impact of funneling public dollars to private for-profit and non-profit operations that have questionable if not abysmal track records for educating children well-particularly poor children of color.